Nathan’s Wastesavers founded in 1903 are one of the UK’s largest textile recycling companies. Over 250 people sort, grade and process over 600 tonnes of textile material every week. They are committed to creating and protecting jobs in the UK and export their recycled products to Africa, Asia and Eastern Europe. Nathan’s Wastesavers work closely with SATCoL, other charity organisations, local authorities and waste management companies on a national basis. By working closely with their customers they are helping to divert textile material from landfill. Their purpose built facility located in Denny, Central Scotland houses modern grading equipment that ensures fast processing and sorting times. The company has worked with the Retail Division for over 20 years and collect wearable second hand clothes from the charity shops in Scotland. 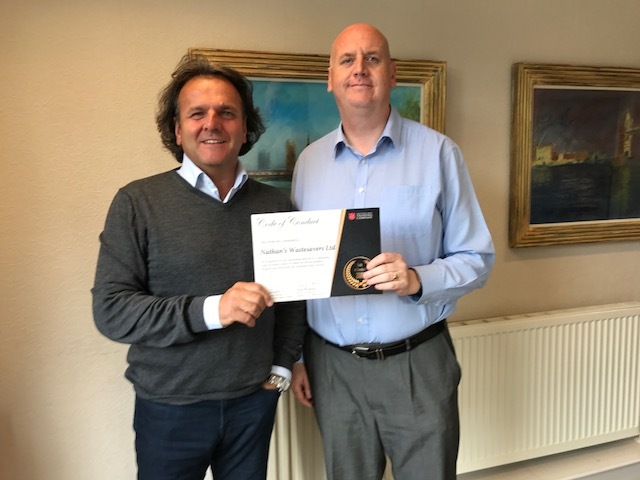 “We are delighted to be awarded our Code of Conduct Certification from Salvation Army Trading and look forward to the next 20 years in partnership. The whole audit process was a pleasure and Jill guided us through the various points seamlessly. Alan Florence – General Manager – Nathan’s Wastesavers Ltd.